Don’t miss out on these great FREE apps that you can download to your phone for FREE from Amazon! Add fun games, challenging puzzles, helpful apps, and more. Solitaire – This classic card game is a must have if you enjoy playing card games on your phone! It is both challenging and fun. Solitaire is a great game to play when you need to pass the time. Coloring – Relax anytime, anywhere with the free Coloring app! This app allows you to fill in beautiful pictures with the colors of your choosing. 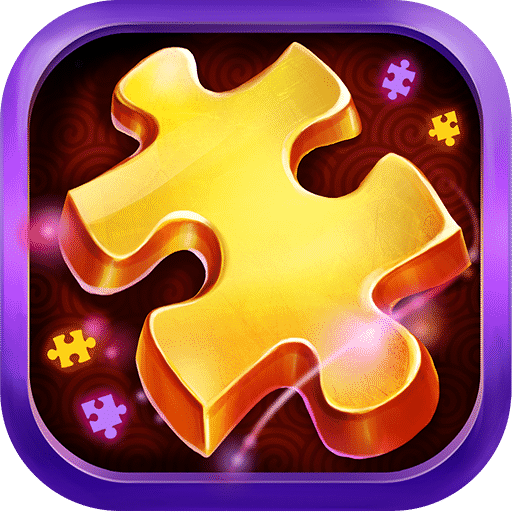 Jigsaw Puzzles Epic – If you are a puzzle master, you will enjoy Jigsaw Puzzles Epic! This game presents you with a variety of jigsaw puzzles that you must solve yourself. The Gardening Channel – Get all the best tips and tricks that will help you with your garden from the Gardening Channel app! Learn everything you need to know and more about gardening. Pet Rescue Saga – This is a fun app for children. Pet Rescue Saga challenges you to rescue pets from the evil pet snatchers by solving puzzles! This is an exciting game that kids seems to love. Spotify – Groove along to your favorite songs wherever you are with the FREE Spotify radio app! Take A Walk With Your Family and Enjoy Some FREE Spring-Themed Amazon Apps! Enjoy playing games and using helpful apps on your mobile phone? Be sure to check out this list of FREE Amazon apps! Hidden Objects Easter Holiday – Spring Time Gardens Object Time Puzzle Pic Seek Find Free Game – This fun Easter app challenges you to find hidden Easter eggs, candies, animals, gardens, baskets, and so much more! Your goal is to search and collect a variety of objects. Photo Collage Maker Editor – Create awesome and unique photo collages out of your favorite photos! Edit your pictures this spring with different filters and features. 100 Doors Seasons 2 Spring – This is a super fun app. It’s filled with lots of puzzles both challenging and enjoyable to complete. Solve mini puzzles and find hidden objects. Talking Easter Bunny Gold – This app allows you to talk to and speak for the Easter bunny in a hilarious voice! Kids love this app. It allows them to see what the Easter bunny does throughout the year when he is not delivering eggs and treats! Jigsaw Genius – Jigsaw Genius allows you to challenge yourself with complicated jigsaw puzzles that have been created to test your puzzle-solving skills! How good at solving puzzles are you?? Find out with this app! Are you looking for engaging and entertaining ways to preoccupy your children? If so, be sure to check out this list of FREE Amazon apps just for kids! We have gathered a list of apps that are educational, fun, entertaining, and creative. PJ Masks: Web App – If your children love the heroes from PJ Masks, then be sure to check this FREE app! Children can watch videos from the show, play games, and more. Crayola Nail Party: A Nail Salon Experience – If your child enjoys using her/his creativity through nail designs, you may want to download this fun Nail Party app from Crayola! This app allows you design fun and funky nails without the big mess! My Very Hungry Caterpillar – This fun app is based on the classic book by Eric Carle. My Very Hungry Caterpillar apps allows you to listen to soothing music, interact with the sweet caterpillar, and play fun games! Animal Math Games for Kids with Skills Free: The Best Pre-K, Kindergarten and 1st Grade Numbers, Counting, Addition and Subtraction Activity Games – Children of all ages will enjoy practicing their math skills with this FREE app! The app was designed by teachers and parents. Your children can practice addition and subtraction, nuber counting and recognition, and much more! 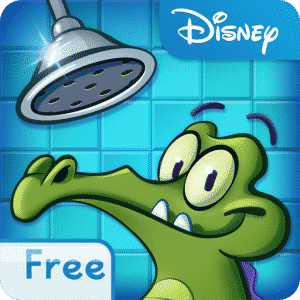 If you are looking for some fun, new, FREE apps to add to your mobile phone or tablet, you have come to the right place! We have created a list of some awesome FREE spring related apps for you to download. Hidden Difference: Gift of Spring – Hidden Difference Gift Of Spring is a fun, spring-themed matching game! Spot the differences in the spring scenes; look for items and objects that are missing from the same scene. This is an enjoyable yet challenging game. St Patricks Day Word Search – This app challenges you to find various St Patrick’s Day inspired words hidden among the letters. See what words you can find! St Patricks Day Hangman – Get into the spirit of St Patricks Day with this St Paddys Day themed game of Hangman! Easter Photo Frames – Add adorable Easter themed frames to your photos! These frames include all thing Easter and spring such a bunnies, flowers, eggs, and more. Easter Bunny Racing For Kids – Your children will love this Easter-themed app that allows them to steer the Easter Bunny through a challenging race! 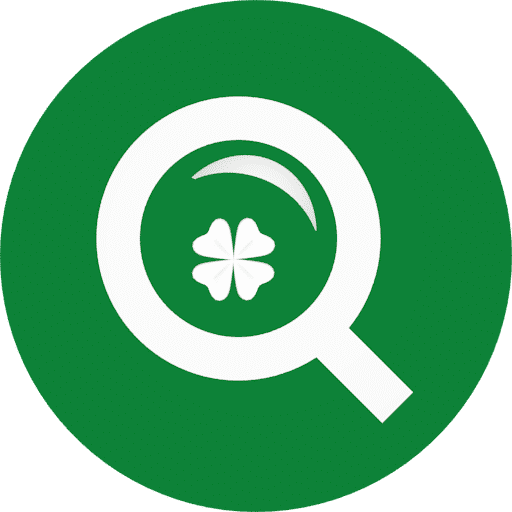 Eggs Hunter – Participate in a virtual Easter egg hunt with this app! Find as many Easter eggs hidden throughout the landscape as you can. You may need to search high and low, but we think you will find some eggs if you try! These FREE Valentine’s Day Apps Are Super Sweet! If you love Valentine’s Day and adding FREE apps to your mobile phone, then you have got to check out this list of FREE V-day apps! Valentine Wallpapers -Love Valentine’s Day? Then make your mobile phone reflect your love for the holiday with this app. You can install various Valentine wallpapers to your phone. Yatzy: Be My Valentine -Now, you can play a Valentine’s Day themed game of Yatzy right from your mobile phone! Grab a friend and play this fun V-Day game with them. Valentine Photo Frames 2017 -If you like editing your photos and making them look super special, you will love this Valentine Photo frames app! You can add sweet frames to your even sweeter photos. You can even use this app to take photos so you know that they will fit perfectly in the Valentine’s Day frames. Valentines Cake Game -If decorating desserts if something you enjoy doing, then be sure to check out this FREE app that allows you to customize your own Valentine’s Day cake! Get as creative as you’d like! The best part is that you won’t ruin your diet with these cakes! Valentines Day Sticker Frame – This app allows you to create fun Valentine’s Day photos with borders and stickers! Here Is Our List Of The Current Best FREE Apps To Download Such As Funimation Now! If you like adding fun and FREE apps to your mobile phone or tablet, then be sure to check out our list of some of the very best FREE Amazon apps that are currently available to be downloaded. Coloring– This fun and relaxing app allows you to ‘color’ right from your mobile phone or mobile device! Add your favorite colors to beautiful and unique pictures. Embrace the inner artist in you anywhere you are! Talking Tom Cat- Kids and adults will have endless laughs with this silly app! Talking Tom Cat is a fun app that allows you to speak as Tom the cat! Truth or Dare– If you attend a boring party and need an easy way to liven things up, then be sure to download this fun Truth or Dare app! The apps present you with the truths or the dares. The question is, which one will you choose?? HISTORY– If you enjoy watching the History Channel, you will probably enjoy this History Channel app! On it you will find episodes of your favorite History Channel shows, exclusive, never before seen clips, and more! 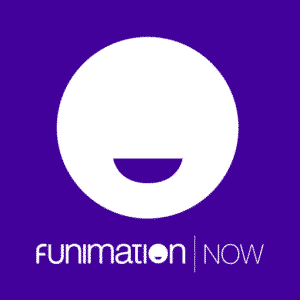 Funimation Now– If you love anime, you will definitely want to check out this awesome app! On Funimation Now you can watch ad-free anime. Check Out These Awesome FREE Amazon Apps Like SiriusXM Radio! Don’t miss out on these FREE Amazon apps that you can download directly to your mobile device or phone! We’ve got several great apps that we are featuring today, and you can download them right now. 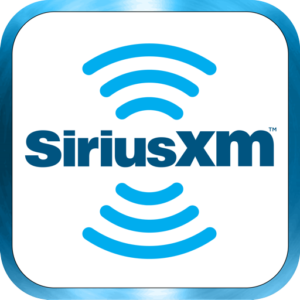 SiriusXM Radio – If you enjoy listening to music on your phone or mobile device but do not want to spend money, then be sure to check out this FREE radio app! You can stream all you favorite songs right from your phone at no cost. Smash Hit – This is a fun app to play if you have some pent up frustration! With this app, you smash your way through a dimension set in the future. You just have to play this game for yourself in order to appreciate it fully! Pokémon TV – Hey Pokémon fans, you have to check out this awesome app available on Amazon! On the Pokémon TV app, you can watch you favorite Pokémon videos and clips. Voloco: Auto Voice Tune, Harmonizer, Vocoder, Karaoke – If you enjoy creating new, fun sounds or like to sing along with karaoke, you should check out the Voloco app. This app enables you to do the aforementioned things and so much more. Download it for FREE today. Glow Hockey – You can play air hockey from your phone with this fun, FREE Amazon app! Change the colors, paddles, and more as you play this simulated air hockey game. Valentine’s Day 2017 will be here soon. While we wait for this sweet holiday to get here, why not enjoy some fun FREE Valentine’s Day Amazon apps?! These apps can be easily downloaded right to your mobile phone or tablet. Valentines Cake Game – Are you trying to stick to a diet this Valentine’s Day? Avoid those tempting sweets by creating your own virtual Valentine’s Day cake with this fun and FREE app! Create and decorate a sweet Valentine’s Cake that looks super sweet, but will not spoil your diet. 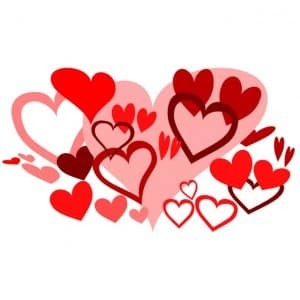 Valentines Day Sticker Frame – Add adorable Valentine’s Day stickers and frames to your photos. Choose from more than 50 stickers and frames. After you have decorated your photos, you can easily share them on your social media accounts! Yatzy: Be My Valentine – Play the fun, classic game of Yatzy right from your phone with a fun Valentine’s Day theme! When you play Yatzy on this app, you can enjoy the beautiful Valentine’s Day artwork that appear each time you win. Valentine Photo Frames 2017 – This Valentine’s frames app will make any photo look super sweet! Choose from photos saved in your photo album or take photos with the app that fit perfectly into the frames. 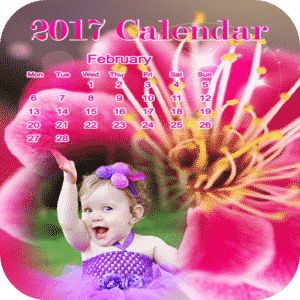 Calendar Photo Frames 2017 and Even More Fun FREE Apps! The new year is here, and now is a great time to download some new apps to your mobile phone! 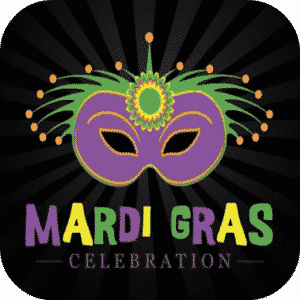 Check out these great New Years themed apps, as well as a few sweet Valentine’s apps. These apps are so much fun, and you really cannot beat the price! New Year Soundboard Firework Greetings – Create your own cool songs and sound clips using this New Year’s Eve themed sound bites (such as champagne popping, fireworks, and more)! 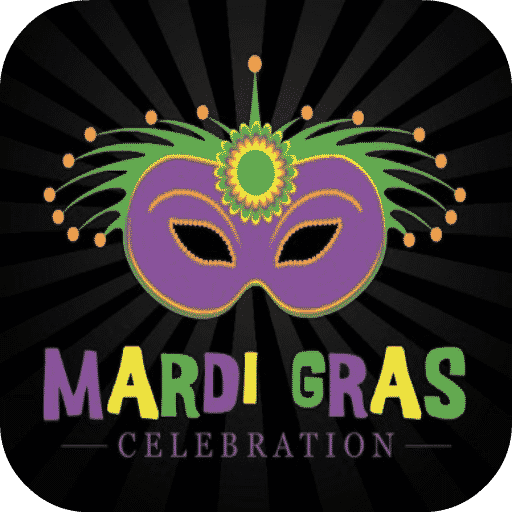 Calendar Photo Frames 2017 – Create your own calendar for 2017 with your favorite photos of your family and friends with this great FREE app. Valentines Photo Frame 2017 – Download this fun, FREE app in time for Valentines Day 2017! Take photos on your mobile phone and use the awesome Valentines frames that come with this app to create sweet Valentines pictures. Valentine Wallpapers – It you want to make your phone’s background festive, then be sure to check out this app for Valentine’s Day wallpaper. You will find lots of sweet Valentine wallpapers that you can use!